Chile: A Role Model for Latin America? A political consensus on free-market policies sets Chile apart and has secured its success in Latin America. At a time when Latin America is suffering from a new wave of nationalist-populist governments, Chile stands as a solid contrast. 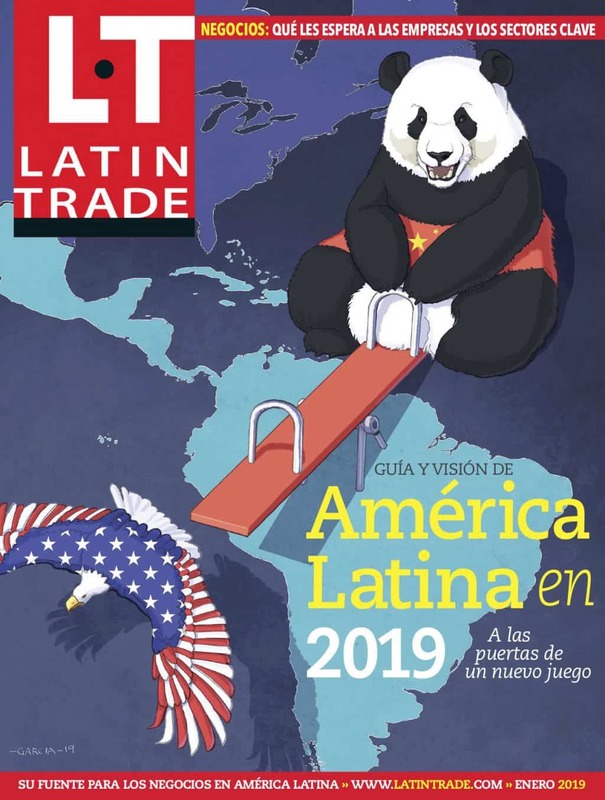 The country tops the Latin Business Index for the second year in a row. That comes on top of top scores in Latin America in nearly every international ranking - ranging from competitiveness and economic freedom to security and human development. So is Chile a role model for Latin America? "It is indeed a role model," says Jerry Haar, a professor of management and international business and associate director of the <?xml:namespace prefix = st1 ns = "urn:schemas-microsoft-com:office:smarttags"/>Knight Ridder Center for Excellence in Management in the College of Business Administration at Florida International University. "It bit the bullet and instituted the broad, sweeping macroeconomic reforms necessary to move the country away from a nanny-state model of development to one of market-oriented reform and smaller government...Chile is also a model for the other countries that seek--in fact demand--progressive social policies (housing, labor, education) not be sacrificed at the expense of the free market model." Gabriel Zinny, a senior fellow at the Atlas Economic Research Foundation, agrees. Chile has become a role model thanks to the bi-partisan long-term policies regarding institution building, macroeconomics and respect to the rule of law, he says. By contrast, countries like Mexico and Peru almost elected radical populists in their respective presidential elections last year, he points out. In Chile, the leading political forces appear more like the U.S. Democratic and Republican parties rather than the dramatic alternatives presented in many Latin American countries, Valera says. "The country's free market orientation and embrace of globalization through its extensive network of free trade agreements while at the same time taking into consideration those who do not have the education or preparation to take advantage of new opportunities has been exemplary not only for Chile but for the world," says Kathleen Barclay, a Chile-based former executive with JP Morgan Chase who chairs the Association of American Chamber of Commerce in Latin America. Chile is a good example of a developing country which identified its challenges, developed a plan and implemented the plan successfully on the back of sustained economic growth and political stability which cut poverty in half to date and which has left the country with a strong consensus regarding the road forward, she adds. "There are few countries that have achieved this degree of success for their people in such a short period of time," Barclay says. However, she warns against holding up Chile as a role model for other countries in Latin America. "Each country in the region has a unique history and culture and faces different challenges," she says. "This requires different solutions in each case - solutions which take into account where each country stands and its political realities, as well as specific needs and challenges. Hopefully, Chile's experiences - its successes and failures - can provide useful information to each country in the region as they define their own paths forward." So advanced is Chile compared to its neighbors that many experts see the country becoming the first in Latin America to become a developed economy. "Chile has everything necessary to become a developed country within a reasonable time frame," Barclay says. "I have lived or worked with the country for almost thirty years and it all comes down to one factor - the quality of the Chilean people and their sense of nation." Haar believes Chile could become a developed economy within the next 25 years. However, he already sees the country as a "developed developing country." Despite the progress in reducing, Chile still faces several challenges, experts say. The country needs to maintain and boost economic growth, reduce poverty further and improve the quality of education, Zinny says. "Income inequality remains a problem, with wage gaps and selected pockets of poverty --urban and rural -- that cannot be swept under the rug," Haar says. Chile now needs to focus on development of a globally competitive education that includes much higher levels of English-language skills in order to build high growth sectors such as services and tourism, Barclay argues. The country also needs to focus more on innovation, including closer links between universities, business and government, and micro economic policies which promote entrepreneurship as an engine of growth, she adds. Last, but not least, Chileans need to get a clear definition of where they see themselves fitting into the twenty-first century, Barclay believes. "Chile's unique geography, abundant natural resource base, globally-respected scientific community, its global reach through commerce and its prestigious business leaders should enable the country to carve out a leadership position in the global climate change debate," she says.